This website tells the history of the Newhall neighborhood in Hamden, Connecticut, where soil pollution has been found and what is being done about it. It will explain how the area has been tested, how a remedy was developed and selected, who to contact for more information and much more. Some 240 mostly residential properties were cleaned up in the years 2010-2012. 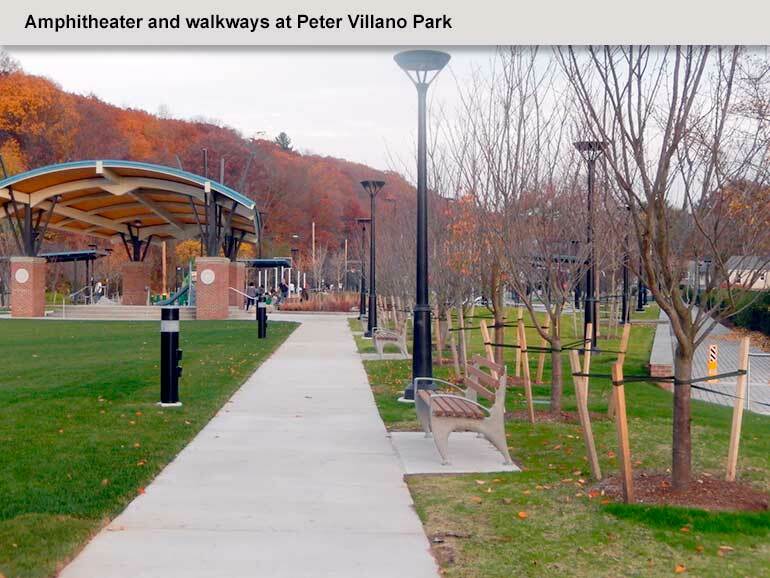 Construction of environmental remedies to two town parks – Rochford Field and Peter Villano Park (formerly known as Mill Rock Park) – was completed in November 2015. Cleanup at the former Hamden Middle School grounds will begin before an approved re-development plan for the property gets underway. This project has been a collaborative effort of many – the Town of Hamden, Olin Corporation, Regional Water Authority, State of Connecticut, and, most importantly, neighborhood residents and property owners.